In internal correspondence beginning in 2014, Purdue Pharma executives discussed how the sale of opioids and the treatment of opioid addiction are “naturally linked” and that the company should expand across “the pain and addiction spectrum,” according to redacted sections of the lawsuit by the Massachusetts attorney general. A member of the billionaire Sackler family, which founded and controls the privately held company, joined in those discussions and urged staff in an email to give “immediate attention” to this business opportunity, the complaint alleges. ProPublica reviewed the scores of redacted paragraphs in Massachusetts’ 274-page civil complaint against Purdue, eight Sackler family members, company directors and current and former executives, which alleges that they created the opioid epidemic through illegal deceit. These passages remain blacked out at the company’s request after the rest of the complaint was made public on Jan. 15. A Massachusetts Superior Court judge on Monday ordered that the entire document be released, but the judge gave Purdue until Friday to seek a further stay of the ruling. Citing extensive emails and internal company documents, the redacted sections allege that Purdue and the Sackler family went to extreme lengths to boost OxyContin sales and burnish the drug’s reputation in the face of increased regulation and growing public awareness of its addictive nature. Concerns about doctors improperly prescribing the drug, and patients becoming addicted, were swept aside in an aggressive effort to drive OxyContin sales ever higher, the complaint alleges. Among the allegations: Purdue paid two executives convicted of fraudulently marketing OxyContin millions of dollars to assure their loyalty, concealed information about doctors suspected of inappropriately prescribing the opioid, and was advised by global consulting firm McKinsey & Co. on strategies to boost the drug’s sales and burnish its image, including how to “counter the emotional messages” of mothers whose children overdosed. Since 2007, the Sackler family has received more than $4 billion in payouts from Purdue, according to a redacted paragraph in the complaint. In 1998, two years after OxyContin was launched, Dr. Richard Sackler, a son of Purdue co-founder Raymond Sackler, instructed executives in an email that its tablets were not merely “therapeutic” but also “enhance personal performance,” like Viagra. Fifteen years later, he complained in another email that a Google alert he set up for OxyContin news was giving him too much information about the drug’s dangers. The redacted paragraphs leave little doubt about the dominant role of the Sackler family in Purdue’s management. The five Purdue directors who are not Sacklers always voted with the family, according to the complaint. The family-controlled board approves everything from the number of sales staff to be hired to details of their bonus incentives, which have been tied to sales volume, the complaint says. In May 2017, when longtime employee Craig Landau was seeking to become Purdue’s chief executive, he wrote that the board acted as “de-facto CEO.” He was named CEO a few weeks later. The Sackler family was once best known for its philanthropy. Its name is engraved on museums and university buildings across the world. A group of activists has called on organizations to stop accepting Sackler donations and for the family name to be stripped from some institutions. 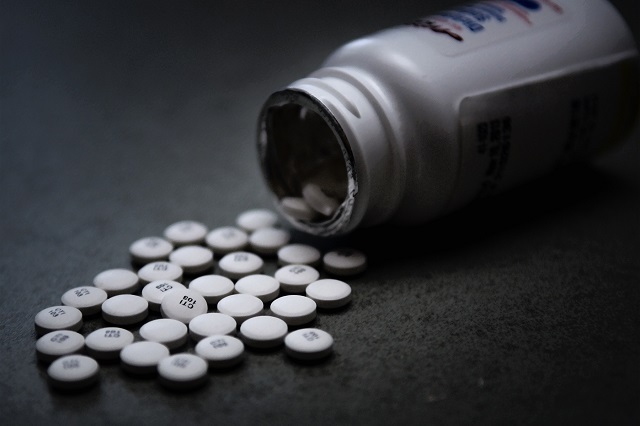 Aggressive marketing of OxyContin is blamed by some analysts for propelling the crisis that has resulted in 200,000 overdose deaths related to prescription opioids since 1999. After its 1996 launch, OxyContin rapidly became a top seller. But reports of patients abusing the drug soon followed. OxyContin contained more pain relief medication than older drugs, and crushing and snorting it was a simple way to get high fast. In 2008, the same year that Purdue paid Udell and Friedman, Richard Sackler advised other family members that it was important to select a new chief executive who was loyal to the family. “People who will shift their loyalties rapidly under stress and temptation can become a liability from the owners’ viewpoint,” he allegedly wrote. A defendant in the Massachusetts lawsuit, Richard Sackler served in a number of different positions at the company before being named president in 1999 and then co-chairman of the board in 2003. When sales results disappointed, Sackler family members didn’t hesitate to intervene. In late 2010, Purdue told the family that sales of the highest dose and most profitable opioids were lower than expected, according to the complaint. That meant an expected quarter-end payout to the family of $320 million was at risk of being reduced to $260 million and would have to be made in two installments in December instead of one in November. McKinsey recommended increasing each salesperson’s quota from 1,400 visits a year to closer to 1,700. McKinsey estimated that targeting the most frequent prescribers could boost OxyContin sales by hundreds of millions of dollars. The quotas rose, as did total visits, the complaint states. Purdue said it planned to decrease visits relating to opioid products, and any increase was due to promoting a laxative. McKinsey also recommended Purdue fight back against efforts by a major pharmacy chain, the U.S. Drug Enforcement Agency and the U.S. Department of Justice to stop illegal opioid prescribing, the complaint states. In September 2014, Purdue embarked on a secret project to join an industry that was booming thanks in part to OxyContin abuse: addiction treatment medication. Code-named Project Tango, it involved Purdue executives and staff as well as Dr. Kathe Sackler, a daughter of the company co-founder Mortimer Sackler and a defendant in the Massachusetts lawsuit. She participated in phone calls and told staff that the project required their “immediate attention,” according to the complaint. Besides being a defendant in the Massachusetts case, Richard Sackler was deposed in a lawsuit against Purdue in Kentucky, which the company settled. It’s believed to be the only time a member of the family has been questioned under oath about OxyContin and its addictive properties. The Kentucky Court of Appeals has ordered the release of his deposition, in response to a motion by STAT, but Purdue is asking the state Supreme Court to review the ruling. Hundreds of other lawsuits filed by states, cities, counties and tribes against Purdue have been consolidated in a pending case in federal court in Ohio. The Massachusetts complaint cites multiple incidents of Purdue allegedly sitting on information, sometimes for years, about doctors it had reason to believe were inappropriately prescribing OxyContin. In 2012, a Purdue employee appealed to the company’s head of sales to alert health insurers to data the company collected about doctors suspected of abusing or illegally prescribing OxyContin. The list of doctors was code-named Project Zero.